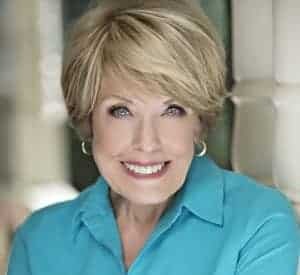 What do Pat Benatar, George Foreman and I, your humble columnist, have in common? We share the same birthday. I only know this because someone gave me a 797-page book titled simply, The Portable Book of Birthdays. Good thing too, or I’d never have known that Pat, George and I have socially savvy personalities and a keen ability to promote our ideas and to get what we want. We are intelligent, easily irritable and need constant emotional stimulation, too. While the book doesn’t mention our favorite birthday cake, I feel confident in speaking for the three of us when I say that without a doubt it is coconut cake. But not just any coconut cake. 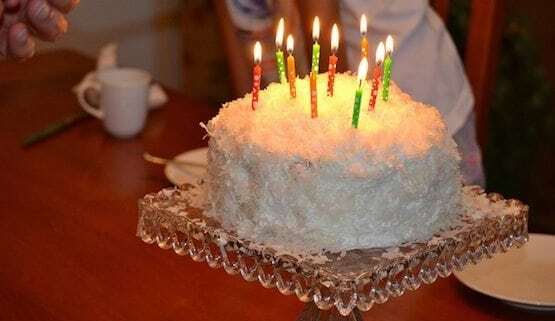 It has to be 3-Day Coconut Cake that is so delicious it will knock your socks off no matter when you were born. But first a small explanation. 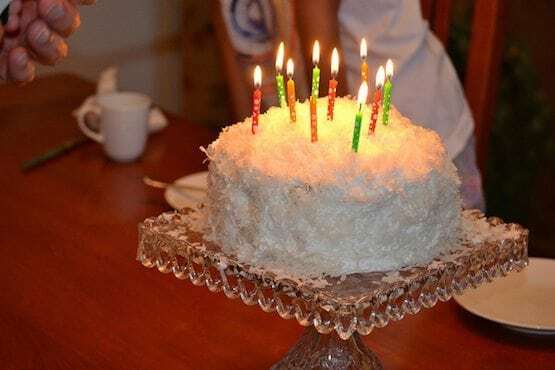 The recipe that follows calls for “frozen coconut.” As many times as I have made this cake (I wonder if Pat and George make their own birthday cakes) I have yet to find such a thing where I live in California. I’ve looked everywhere, asked store managers and anyone else who might be handy. No where to be found. I do understand, however, that frozen coconut is readily available in other parts of the country in the grocery frozen food case. Someone suggested recently that I try an Indian market and I will do that as soon as I, well, locate an Indian market. In the past I have tried fresh coconut with excellent results, but it was a real pain to crack, pry, smash, break, drain, peel and grate. So, I will continue to use Angel’s grated sweetened coconut that comes in a bag and can be found in the baking aisle of any food market. The night before you make this cake, blend together the sour cream, coconut and sugar. Separate 1 cup of mixture and place in a separate bowl. Refrigerate both portions. Prepare cake mix as per instructions on the back of the box, in two 8- or 9-inch round cake pans. Let cool. Using a serrated knife, split both layers in half horizontally, to end up with four layers. Place one layer on the plate of a cake stand or cake saver that has a top. Spread all but the reserved 1 cup of coconut mixture between the layers. Mix Cool Whip together with the reserved 1 cup coconut mixture. Frost sides and top of cake with this mixture. Cover the cake and place in the refrigerator. Do not remove or eat for THREE DAYS. Do not even peek. The longer this cake sits in the refrigerator, the better it gets however it is not humanly possible to wait longer than three days. Store in refrigerator down to the last delicious crumb. 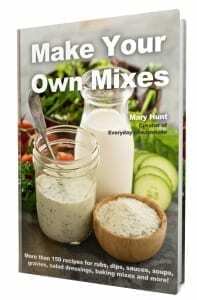 https://www.everydaycheapskate.com/wp-content/uploads/6183637201_a36ff32eb8_z.jpg 370 555 Mary Hunt https://www.everydaycheapskate.com/wp-content/uploads/EverydayCheapskateNewLogo.jpg Mary Hunt2015-02-06 00:01:312015-01-29 09:41:28Let Us Eat Cake!